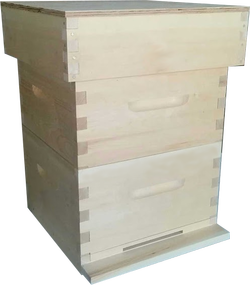 Our basic 10² hive consist of one bottom board with removable landing board, two box-jointed hive supers with 20 Hoffman style frames, quilt, and a 4" 3/4 deep roof. Foundations not included! 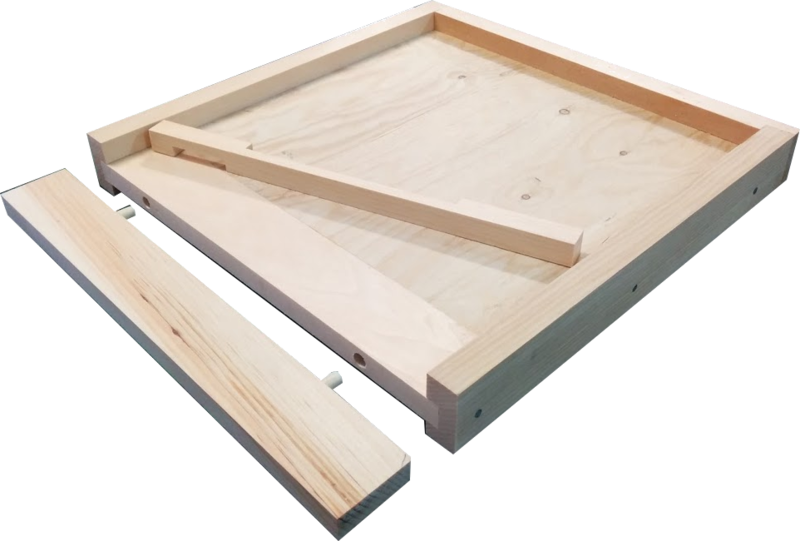 Includes the entrance reducer and removable landing board. 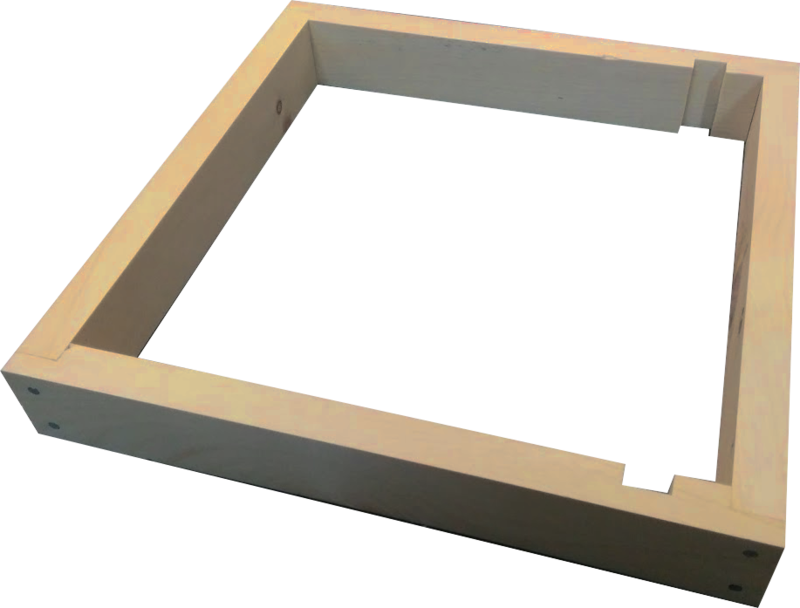 Wooden Frames for 10² hive. 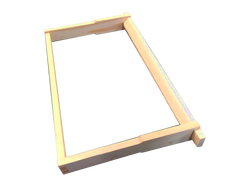 The top bars of the frames have a V-Profile and can be used with wax or plastic foundations. 4 3/4 inches deep with 1/2" exterior grade plywood nailed and glued with waterproof glue. 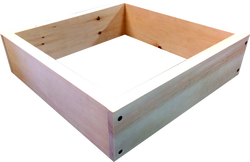 Box - jointed. Once painted will last longer than the commercial metal covered hive roofs. 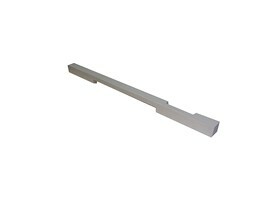 Two inch high. 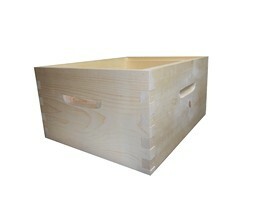 The notches cut on the opposing sides allow for use of the honey filled frames to feed the bees.